A new column by the Road Safety Authority on cyclists is one of the strangest things you will read. An anonymous “expert” with the Road Safety Authority has penned a staggering article in the Irish Independent about cyclists. The piece is written by and “RSA Expert” and while some of the points in it definitely apply to some cyclists, it’s one of the worst pieces we’ve seen. For an organisation that is supposed to promote road safety, for all road users, its contribution only serves to reinforce the anti cyclist stereotypes that it should be working to overcome. The piece starts as strangely as it goes on, running under the headline: “Here’s how some busy bee cyclists are bending the rules of the road”. There are a few catch-all phrases included that are intended to give the veneer of appealing to all road users, and not only cyclists, to behave more responsibly. But they can’t disguise what this really is; a take-down of cyclists, all of which are branded as irresponsible by the tone of the piece. 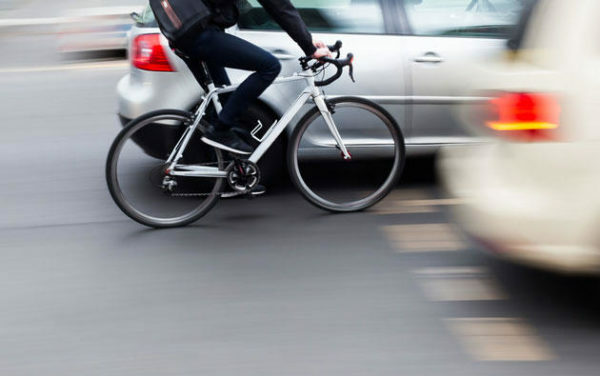 A small number of incidents involving cyclists that the author claims to have seen are poured over at length as examples of how cyclists break the rules. But there is no mention at all of the hundreds of thousands of offences committed by motorists every year; no appeal for an end to speeding, drink driving or using mobile phones, to name but a few. Last year alone, for example, there were 148,000 fixed charge notices issued for speeding. And 28,000 penalties were issued for mobile phone use. There were 9,000 cases of drink driving; that’s cases where the driver was actually caught. All this when every single fatality on the roads involves a driver; though not all of them were to blame for those deaths of course. Yet there is no mention of any of these things in the column by RSA Expert, which has been shared by the authority on its social media channels. And what we end up with is an exercise in reinforcing the view that cyclists are somehow deviant and second-class road users. “While their country cousins are happy to slot into a leader’s slipstream, some city cyclists are battling it out for first place on the cycle path,” the column states. “No one wants to be stuck behind the poor struggling climber (who is just short of being pushed up the hill). There then follows some limited examples of poor driver behaviour, but none of the most serious and most repeated offences. “The RSA’s recent advertisement asking motorists to give up to 1.5 metres of space to cyclists when passing has, by and large, yielded a positive response,” the writer states, which will come as news to many cyclists. “So, if we are beginning to see motorists respect cyclists more, then equally cyclists need to respect the more vulnerable pedestrian,” it added. This might have been a good time to mention that of the 39 pedestrians killed on the roads so far this year; all died in incidents with drivers in vehicles, and none of them was killed by a cyclist. But there is no mention of this. The RSA writer than adds they witnessed a parent holding the arm of their child to prevent a cyclist crashing into them after breaking a red light. “All the cyclist could say was ‘sorry’, after which they hurtled onwards, minus any helmet or high-visibility gear,” the writer adds. There is no mention of the fact helmets are not compulsory, but the suggestion is left in the air that not wearing one is the act of an irresponsible road user. And there’s no mention of the fact high-vis clothing is also not compulsory (though advisable when need) even when it’s dark. The writer adds of seeing the cyclist break a red light: “This is not an isolated incident. I see cyclists breaking pedestrian lights all the time. Have a read of the full piece by following this link. And you might think of taking to social media and tagging the RSA to let them know how you feel about it. Some cyclists definitely break lights and some are generally irresponsible. At stickybottle we have not been slow to highlight incidents involving cyclists who hit the headlines for the wrong reasons. But mapping the offending of some cyclists onto all of us, as the RSA has clearly done in its new column, is unspeakably ignorant. The RSA doing it in a national newspaper in a column with no mention at all of drivers speeding, drink driving and using mobile phones is genuinely hard to believe.